We were expecting to see the new Moto G for the first time on Tuesday, but a series of leaks has ruined the surprise. Not only do we have hi-res images featuring Motorola's budget blower, but we also have its entire spec sheet. Okay, let's dive in, shall we? 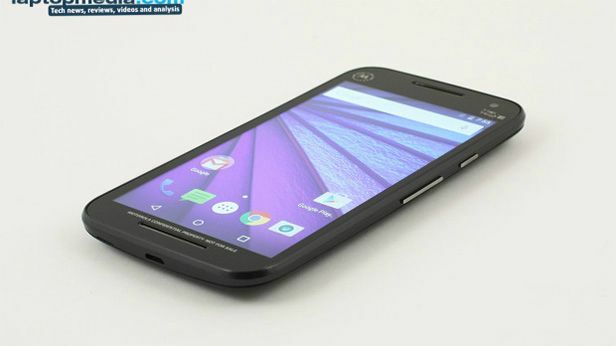 Firstly we've got a preview of the Moto G courtesy of LaptopMedia. Somehow the site got an early hands-on with the affordable handset and posted a series of quality snaps which you can check out here. On top of that weve also got wind of its spec sheet, thanks to Brazilian retailer Americanas (via Droid Life). Motorola hasn't even announced the new Moto G, but they went ahead anyway and posted an entire overview videowhich walks through all of its meaningful specs. Based on their info, we're getting a 5-inch HD (likely 720p, but there is mention of “full” in the translation) display, 1.4GHz Snapdragon 410 processor, 8GB or 16GB of storage, micro SD slot that holds 32GB cards, 13MP rear camera, 5MP front camera and Android 5.1.1. It's also reportedly waterproof and equipped with 4G LTE, something that we missed on last years version. Both the Moto X and Moto G are expected to launch at a July 28 launch event, so we'll know everything in just a couple of days.